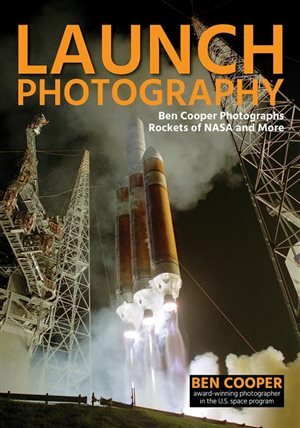 Although best known for planetary photography, the author is equally adept at capturing comets, stars, and galaxies. The Tarantula Nebula (NGC 2070) lies some 160,000 light-years away in the Large Magellanic Cloud. For this image, the author collected six hours of exposures through a 27-inch corrected Dall-Kirkham telescope. My interest in astronomy really took flight at age 9 or 10. While looking through books in my primary school library, I became fascinated by the amazing pictures of far-off worlds and galaxies that filled the pages. Neither of my parents was interested in astronomy. One of my uncles, however, owned a telescope, and another was a successful photographer. The first books I ever read on astronomy were the introductory Man and Space by Neil Ardley, Astronomy by Iain Nicolson, and Travellers in Space and Time by Sir Patrick Moore, all of which I still own. Another book from around this time that I also loved was The Universe From Your Backyard by current Astronomy Editor David J. Eicher. It included many drawings of nebulae and galaxies as they appeared through amateur telescopes. Damian Peach has used a variety of telescopes and cameras during the years he’s created celestial images. Many have appeared in Astronomy. Soon after finishing that book, I got my first astronomical instrument: 8x30 binoculars, with which I learned my way around the sky. I recall vividly my first views of the Andromeda Galaxy (M31) and Jupiter through them. I also had a small 10x30 Russian spotting scope, which I used to track the nightly motions of the jovian moons. Even in these early days, the planets were my favorite objects to observe. When I was 13, after pestering my mother constantly, I finally got my first telescope: a 2-inch red tube Tasco refractor. I still remember my first view of a 50-percent-illuminated Venus through it. I was amazed! By this time, I was also an avid watcher of the BBC’s The Sky at Night, hosted by the legendary Sir Patrick Moore. His boundless enthusiasm further nurtured my growing fascination with the night sky. I later got a second 2-inch white tube Tasco refractor, which was of better quality than the first one. I still have that telescope today. It gave sharp images and allowed views of all manner of objects: double stars, the belts of Jupiter, the rings of Saturn, and the phases of Venus. My foster father, in particular, really encouraged me in astronomy during the early 1990s, helping me with telescopes and driving me to meetings of the Boston Astronomical Society of Lincolnshire. Sadly, he passed away in 1999, so he never got to see what I would accomplish. I’m sure he would not have been surprised that my lifelong obsession has brought some rewards. Comet 17P/Holmes suddenly brightened by more than 14 magnitudes in 2007. The author captured it in December of that year through a 3.15-inch refractor. He used a DSLR and stacked twenty 1-minute exposures. It wasn’t until 1992 or so that my attention seriously turned toward the planets. Around this time, I joined the Boston Astronomical Society, led by well-known British amateur astronomer Paul Money. His captivating talks and infectious enthusiasm really rubbed off on me. He even visited my home and gave a talk in my living room for my family — something I still remember well! After joining the society, I was able to use the group’s 4.5-inch and 10-inch reflecting telescopes. Finally, I could see the kind of details that I had read so much about. I spent many nights during my teenage years observing the planets, with a special fascination for Jupiter. In the mid-1990s, I acquired my own “proper” telescopes, a 6-inch f/6 Newtonian reflector and a 3.5-inch f/11 refractor. The Newtonian was a poor instrument, so I didn’t use it much, but the refractor gave wonderful views. I recall well the stunning views of Mars and comets Hyakutake and Hale-Bopp. To create the color image (left) of Jupiter on September 30, 2011, the author combined exposures through red, green, and blue filters (second, third, and fourth images, respectively). He had to work quickly so that Jupiter’s rapid rotation wouldn’t blur the result. It took him a scant 2 minutes and 7 seconds to get the data. At the time, the planet stood 45° high and sported a diameter of 48.29". In 1997, thanks to my mother, I acquired an 8-inch Meade Schmidt-Cassegrain telescope (SCT). I had relocated to the town of Kings Lynn, on the Norfolk coast of England. During the summer of 1997, I experienced what I can only describe as the most amazing sight through a telescope ever. On July 23, I saw a spectacular view of Jupiter. My logbook, which I still have today, is filled with exclamation marks, along with my comments at the eyepiece. So much detail was visible; I could not hope to sketch it all. From that point on, I was totally hooked on observing the giant planet. Around this time, I joined the British Astronomical Association and the Association of Lunar and Planetary Observers (ALPO). During that year, I also discovered the amazing images by Florida planetary photographer Donald Parker. His images of Jupiter revealed the details I was seeing, and much more. With further superb views of the planet during 1997, I began to seriously consider buying a CCD camera and trying to take my own images. I upgraded my telescope to a 12-inch Meade SCT. I also purchased an SBIG ST-7 CCD camera. The learning curve was steep in those early days, but I soon had everything working well. During the August 21, 2017, total solar eclipse, the author traveled to Hodges, South Carolina, where he experienced 2 minutes 30 seconds of totality. This montage from second to third contact includes both diamond rings and Baily’s beads. My very first session targeting Jupiter at the beginning of the planet’s 1998 apparition was disappointing, even after many practice sessions on deep-sky objects with my new camera. I soon learned that capturing finely detailed images was far harder than it looked. However, during the second session a few nights later, the seeing conditions (of which I knew next to nothing) must have been good because there before me were detailed images showing everything that I could see through the eyepiece and more. From then on, my results rapidly improved. In the years that followed, my images continued to improve. I moved briefly to Tenerife in the Canary Islands in 2002–2003, where I spent more than 100 nights imaging the planets. At this time, I started using the new Philips Toucam webcam, which revolutionized planetary imaging. Also in 2003, to coincide with the great Mars opposition that year, I traveled to La Palma in the Canary Islands to image Mars live on British national television. The whole event was a great success. Later that year, I finally got to meet Moore — author, TV host, and my astronomical hero since childhood. I traveled to his home in Selsey for an afternoon visit, and I ended up spending three days there! From then on, we became good friends and remained so until his death in 2012. It was always a great pleasure to spend time with him, often talking late into the night. NGC 1232 in the constellation Eridanus is one of the sky’s finest face-on spiral galaxies. At magnitude 9.9, it’s visible through even moderate scopes from a dark site. Note the small companion galaxy, NGC 1232A, to the left of the main object. A surreal moment happened when, in 2003, Moore asked me to appear on his The Sky at Night program. I appeared on the show many times during the next several years, and it was always a great pleasure and privilege to be part of this historic program. The year 2008 was special, as I finally got to meet Parker, the Florida planetary photographer who had inspired me to become a planetary observer. I spent a week with him at his home, and it remains one of the highlights of my career. It was great fun imaging and observing together, and we had many laughs — mainly due to Don’s wicked sense of humor. During my astronomical journey, I’ve had some acclaim. In 2004, I received ALPO’s Walter H. Haas award for my contributions to planetary observing. Two years later, in 2006, I was awarded the British Astronomical Association Merlin Medal, again for contributions to planetary observing and photography. In 2007, I was featured in the Explorers of the Universe exhibition at the Royal Albert Hall, one of only a few amateur astronomers to be chosen. The Southern Beehive (NGC 2516) is a gorgeous open star cluster in the constellation Carina. It’s bright, too, shining at magnitude 3.8. The author captured this LRGB image of it through a 20-inch corrected Dall-Kirkham reflector. In 2011, I was crowned winner of the Royal Greenwich Observatory “Astro-photographer of the Year” competition, in which I was a prize-winning finalist from 2012 through 2015. I also won first place in the National Science Foundation’s Comet ISON (C/2012 S1) photo competition for my image, which was used by the media throughout the world during ISON’s close approach to the Sun. In 2014, I was elected a fellow of the Royal Astronomical Society and made honorary president of the Adur Astronomical Society. NASA and ESA also have used my images to illustrate what ground-based telescopes can achieve in photographing the planets, and the support they can provide to space-based missions. In 2017, I was part of a small team of observers who used the famous Pic du Midi Observatory 1.06-meter telescope to obtain some of the most detailed ground-based images of Jupiter and Saturn. You can read about that trip in the June 2018 issue of Astronomy. That same year, the International Astronomical Union designated asteroid 27632 Damianpeach for my contributions to amateur astronomy. Finally, in 2018, I was elected to the board of the Aster Academy scientific committee and also awarded the Astronomical League’s Leslie C. Peltier award for my contributions to astronomy. My life could have turned out much differently. But astronomy has provided many wonderful friends, lots of travel, and a bit of recognition for my images. I wouldn’t trade it for the universe!